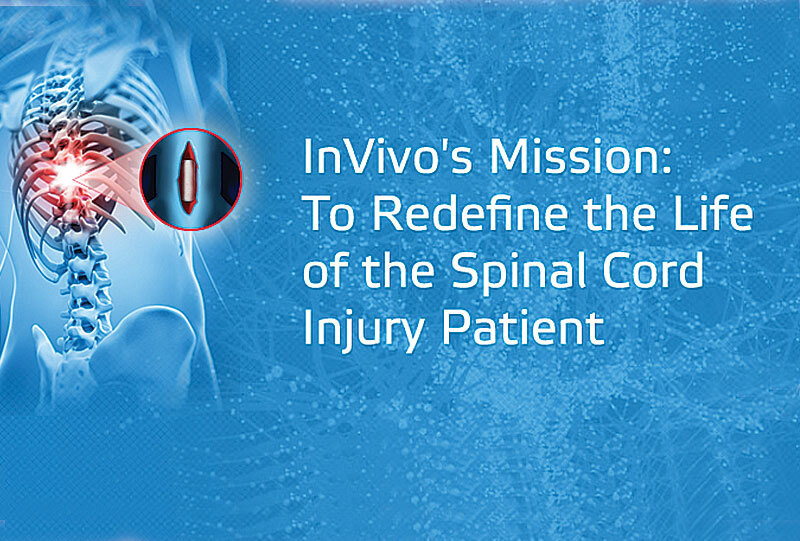 InVivo Therapeutics Corporation is a Cambridge, MA based medical device company founded to develop and commercialize groundbreaking technologies for the treatment of spinal cord injuries (SCI). Currently, there are no treatment options for SCI patients to successfully restore function following a spinal cord injury. Existing treatments consist of a collection of approaches that only focus on symptoms of SCI, such as decompression and mechanical stabilization of the spinal cord, rather than on the underlying pathology. InVivo intends to develop its novel Neuro-Spinal Scaffold to treat acute SCI and Neuro-Scaffold Plus Stem Cells to treat chronic SCI.